We’re feeding children into a system that breaks them. For as long as youth prisons have existed in the United States, so too has the pretense that there are no youth prisons. Early 19th-century reformers who sought to remove children from the harsh adult penal system established new institutions specifically for the detention of youths. 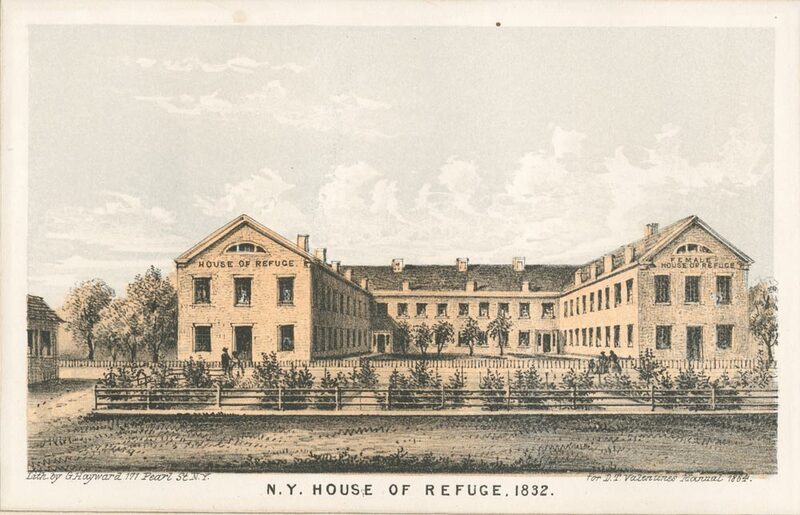 They didn’t call them prisons, but Houses of Refuge, dedicated to the discipline and reform of newly coined group, “juvenile delinquents.” Founded with ostensibly laudable intent, the institutions were overcrowded fortresses, riddled with abuse, serving to institutionalize strict social control over poor and immigrant communities. That is, they were prisons. And so began the unending march of euphemisms, in which children’s prisons have been known by any other name—residential treatment facilities, youth camps, youth-development centers, to name a few—exposing juveniles to many the same cruelties and racial discriminations of the adult prison system. In the two centuries since its formal birth, the juvenile-justice system has changed radically, while youth prisons have hardly changed at all. It’s as if the clock on reform stopped in the turn-of-the-century Progressive Era and has only recently started shakily ticking again. Last year, before the election spectacle swallowed the news cycle whole, juvenile-justice reform made headlines as a keystone in President Obama’s legacy-construction efforts. Overdue political action from state houses has gained serious ground in removing youths from adult prisons. On any given day, 10,000 juveniles are housed in adult facilities, where they are five times more likely to be sexually assaulted than in juvenile institutions (a monstrous statistic, especially considering the prevalence of sexual abuse in youth facilities). The necessity of getting kids out of our shameful adult system cannot be overstated. It’s a limited achievement, though. And even as more and more youth prisons close, we must be vigilant against “alternatives” that press the same oppressive, discriminatory stigmas of criminality and delinquency onto kids outside prison walls. The value of the mapping project is partly semantic—a refusal to allow deceptively named “camps” and “schools” to pass as anything less than prisons and thus targets for closure. As Ryan told The Nation, there is currently no government “master list” of youth detention centers, and the Youth First’s map leaves out smaller facilities and prisons designed for children whose cases were adjudicated in the adult criminal-justice system. Nonetheless, the organization’s data is the first of its kind to collate both information about the size, capacity, whereabouts and age of these prisons and, importantly, the demographic makeup of their prisoners. The lack of existing centralized data partly owes to the increased anonymity and privacy accorded juvenile cases. But privacy for juvenile cases should not bleed into opacity for the institutions in which children are confined. In mapping out a vast “incarceration complex,” the Youth First project puts a number of recent reform victories in context. To some fanfare, President Obama took executive action in January to ban the use of solitary confinement for kids under 18 held in the federal system. It was a welcome order, but less publicized was the fact that it affected all of 26 people nationwide. This is the sum total of teens held in the federal system. The president has no authority over the treatment of some 54,000 children incarcerated in state and county facilities, where solitary confinement is not banned. Reform groups like Youth First have a clear agenda: closing large, archaic youth prisons and advocating for community-based models and non-residential alternatives like probation and counseling (while ensuring that funds saved from youth prisons closure are not disappeared into state coffers). There has been undeniable progress. California, Texas, and Missouri, as well as New York City have moved away from the large facilities model in favor of local, smaller facilities and non-residential options. At least four other states Virginia, Illinois, Connecticut, and Wisconsin have plans to shutter their own largest facilities. The placement of children into harsh prison conditions, detached from family and community, has carved a well-trodden path to trauma, recidivism, and entry into the criminal-justice system. But Youth First’s Ryan was being generous at best when she suggested a “positive result” has been the expectation with this model. At least we might question for whom, and towards what ends, this approach has been positive. Certainly not for the children. 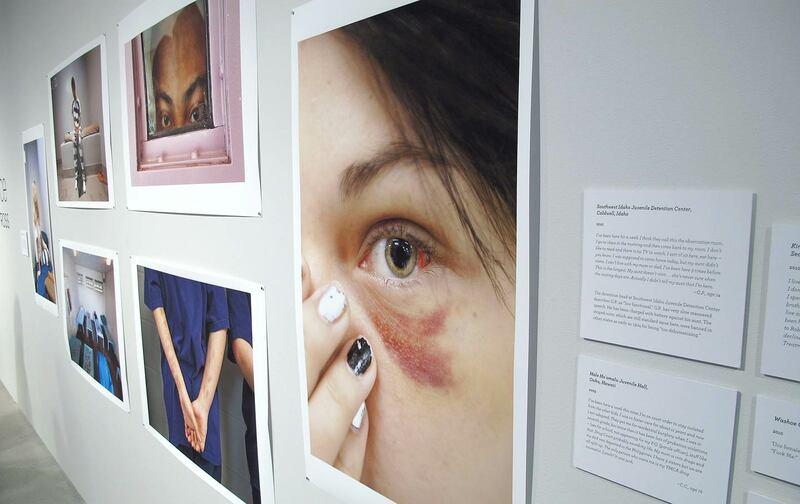 Ten percent of kids held in juvenile facilities report sexual assault, while 50 percent say they fear physical attack, according to Youth First’s findings. Da’Quon Beaver, 22, is a community organizer with RISE for Youth, an organization in Virginia advocating for alternatives to youth incarceration. He spent seven years in jail after he was convicted, at age 14, for stealing $50 with six peers. He was held in two of the 80 prisons on Youth First’s list—both barbed wire–surrounded with a 300-bed capacity. After one Christmas at Virginia’s Bon Air Correctional Facility, a riot led to a prison shutdown and a foreclosure of all visitation, and Beaver recalls weeping in his bed “like a baby.” On the first visitation after that lockdown, Beaver told The Nation, only five children out of around 300 received visitors. “It was sort of an epiphany to me,” he said over the phone from Virginia, “I started to look around at the treatment. Staff didn’t care and looked at kids like criminals. Kids were restrained. People with disabilities were put in isolation. These things shouldn’t even happen to adults.” Beaver stressed the necessity of building “new customs” to hear and assist juveniles in the community. “It’s can’t just be about building new facilities; the prison continuum needs breaking,” he said. By every metric of child welfare, community cohesion, and even cost tax payers (over $5 billion is spent per year incarcerating juveniles), the youth-prison system isn’t working. Over two-thirds of incarcerated youth are held for minor offenses (public order, drugs, property, etc.) and even status offenses like truancy—hardly a threat, should they be released. Meanwhile, a strong body of evidence shows that smaller facilities and non-residential programs lead to less recidivism and vastly improved future educational and employment prospects for kids. This all presumes, however, that the function of youth prisons has actually been to serve the well-being of these children and the communities from which they come. Decades of juvenile justice history tell a different story. A 2001 Frontline investigation noted how efforts to close youth prisons were building steam in the early 1970s. The conditions and policies of juvenile-detention centers came under fire, then as now, and “social critics advocated deinstitutionalization and argued for more preventative and community-based programs to assail the roots of juvenile delinquency, particularly in urban areas.” However, a countervailing political force pushed punitive and segregationist measures to the fore. “Tough on crime” policy and its concomitant racism became the order of the day from the 1970s onwards. Poor, black youth, particularly boys, were no longer viewed as children but, as Hillary Clinton put it 20 years ago, “superpredators.” The then–first lady, echoing racist junk criminology and paranoiac media scares, said, “They are not just gangs of kids anymore.… [They have] No conscience, no empathy. We can talk about why they ended up that way, but first we have to bring them to heel.” Clinton has recently apologized for the remarks, as they’ve marginally haunted her election efforts. Meanwhile, Bill Clinton responded defensively this week to activists who invoked his wife’s use of “superpredator.” On Thursday in Philadelphia, the former president pointed to protesters holding signs with the slogan, “Black youth are not superpredators.” He said, “See these signs, this is what’s the matter,” and went on to defend his 1996 crime bill, which, while purportedly designed to curb street crime, buoyed racist mass incarceration. The (Bill) Clinton-era policies that Hillary’s 1996 statement reflected helped build a Frankenstein’s monster juvenile-criminal-justice system, which no election-cycle apology can dismantle. The 1990s saw the passing of laws in every state that made it easier to try juveniles in adult court, and aims of reforming youth prisons were stymied. The worst aspects of the reform-school model, holding “delinquent” children together en masse with harsh disciplinary practices, were combined with a penological attitude that saw these children as inherently dangerous and essentially criminal. The juvenile justice system’s ostensible role as parens patriae (parent of the nation)—legal protector of those citizens unable to care for themselves—was applied to deny freedoms to children deemed “dangerous” elements—while the harsher penalties of the adult system were now meted out to children, too. The end of the 20th century thus transformed the juvenile delinquent into a uniquely unfortunate legal object, punished like an adult, controlled like a child and locked away in the same old prison-like structures. Beaver knows what he’s talking about when he says that “it’s going to take a culture shift” to see the changes we need—both the decarceration of youth and an end to the suspicion attached to black youth, regardless of conduct. Much of today’s criminal-justice reform efforts are merely the undoing of damage wrought by the tough-on-crime decades. Youth-incarceration figures have nearly halved in the past 15 years, according to the Marshall Project, who reported last month that “youths who were once sent away to reformatories, training schools, and other large, prison-like facilities are increasingly being offered alternatives closer to home, such as electronic monitoring, probation and counseling.” Youth First’s findings, however, highlight that, while incarceration rates have dropped, racial disparities are fierce and increasing—another echo of adult criminal justice. African-American teens are five times more likely to be incarcerated than their white peers, the organization notes. Make no mistake, racial disparity in juvenile (and criminal) justice will not disappear with the closure of large prisons. These facilities may have been the central island of a juvenile carceral archipelago for two centuries, but they’re hardly the only problematic territory. The work of activists, advocates and incarcerated youth themselves has done an immense amount to shift political will towards necessary reform. But the conditions under which this decarceration shift has been made possible have little to do with justice. Mass surveillance, tagging, and automated probation check-ins have done much to assure even conservative politicians that young people they would see locked away will remain under unrelenting state control. Forty-three percent of all US public schools had law-enforcement officers—cops euphemized as “school resource officers”—on their grounds during the 2013–14 school year, according to the National Center for Education Statistics. Michel Foucault can once again take the unfortunate prize for smuggest dead philosopher: He foresaw the sort of reform that would see prisons shrink, and that the problematic power structures they represent would find forms without walls through a nexus of control technologies. It was in the model of a 19th-century progressive reform school—the Mettray penal colony in France—that Foucault pinpointed the birth of a new penal system. Mettray was a so-called rehabilitation facility for boys aged six to 21, who would have typically been held in adult prisons. Mettray was school, church, workhouse, and penitentiary in one. Mettray didn’t interest Foucault because it echoed the cruel vicissitudes of adult prison; quite the opposite. In Mettray he saw the birth of a penal system as a continuum of disciplinary practices through which behaviors were normalized, laws internalized, and bodies controlled. The large-reform-school model proliferated, of course, as in the British borstal system, US Houses of Refuge, and up to today’s detention “schools” and camps.” The modern disciplinary system, though, is not moored to these institutional relics. The presence of “resource officers” alone attests to that. “What we don’t want to have happen is closing youth prisons and replacing them with smaller youth prisons,” Youth First’s Ryan told The Nation. “We don’t want do all this work just to see the old model replaced with smaller versions.” And, to be sure, juvenile-justice advocates are pushing state houses to ensure that any new secure youth facilities—if they are deemed necessary at all—are not simply smaller scale ersatz prisons. Efforts to ensure that youth facilities do not echo and bleed with adult prisons are crucial. The larger project is to ensure that children’s lives—at school, at home, on the street—are not ended before they can begin by criminalizing them into oblivion.